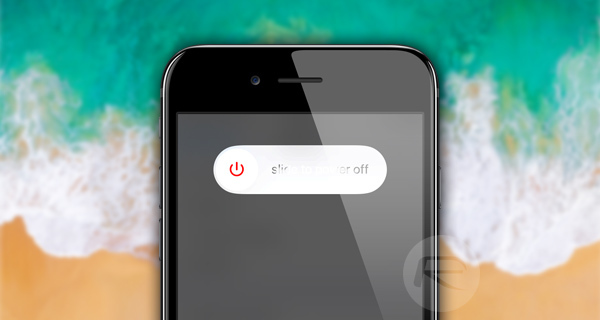 Here’s how you can use the iOS 11 Shut Down feature to turn off an iPhone or iPad easily with a broken Power button. It appears that iOS 11 is filled full of small and interesting hidden changes which weren’t deemed worthy of a shot in the limelight earlier this week. This new ‘Shut Down’ feature is one of those, with its usage highlighted below. Step 1: This may seem like common sense, but it is worth reiterating that this is a new iOS 11 feature, and therefore you will need a device running the new iOS 11 beta to be able to perform this action. If that’s nicely installed on your device, then launch the native Settings app just like you normally would. Step 2: Once you take the time to take in the new physical design of the Settings app, head into the General section. This is the area of Settings that provides access to a number of miscellaneous options to alter and configure the iOS installation. Step 3: Scroll down to the bottom of the General area. You should instantly see a lot of familiarities, but also the new Shut Down feature at the bottom right below the Reset option. Tap on the Shut Down option to invoke the new feature. Step 4: You’ll notice that this doesn’t function as a kill button in that it doesn’t instantly just turn the device off without further interaction. Rather, it still invokes the standard turning off process requiring you to swipe on the slider to confirm the action. Once that has been done, the device will power down. It’s likely that Apple has taken the opportunity to add this relatively simple, but highly useful, feature to cater for those individuals who are in possession of a device with a broken or out of order physical Power button. Many device owners have fallen foul of not being able to achieve certain things due to broken hardware or buttons being out of order. Apple may not be able to entirely solve those problems from occurring but has done a good job of trying to counteract with the updated Accessibility options and the integration of this new Shut Down feature. That’s nice! But how are you supposed to boot back up if you have a broken power button? Very nice. My 6s plus has a broken power button, I go in and reset network settings to make it reboot. No, not using a dongle and certainly not using ANOTHER dongle. What exactly are you going on about?